Start your hybrid journey with the IONIQ Blue trim’s proximity key entry with push-button start and the 7’’ color audio touchscreen with Apple CarPlay™. The IONIQ SEL trim comes with a standard automatic emergency braking system with a pedestrian warning and blind spot detection with rear cross-traffic alert. Finally, enjoy the advanced power tilt and slide sunroof, and the luxurious leather seating surfaces with a heated front seat, standard on the IONIQ’s Limited trim. 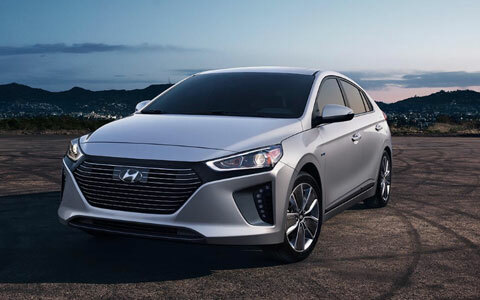 The new 2019 Hyundai IONIQ Hybrid is finally here at Premier Hyundai of Tracy near the Livermore, CA area. Drivers like the new Hyundai IONIQ Hybrid for it’s leading MPG rating, but they love it for how efficient and stylish it looks. For example, the new IONIQ’s battery is backed for a lifetime with Hyundai’s exclusive Lifetime Hybrid/Electric Battery Warranty. You can discover for yourself what makes this Hybrid so unique by visiting our new and used Premier Hyundai of Tracy dealership today. Contact our sales team ahead of time and set up a test drive today! 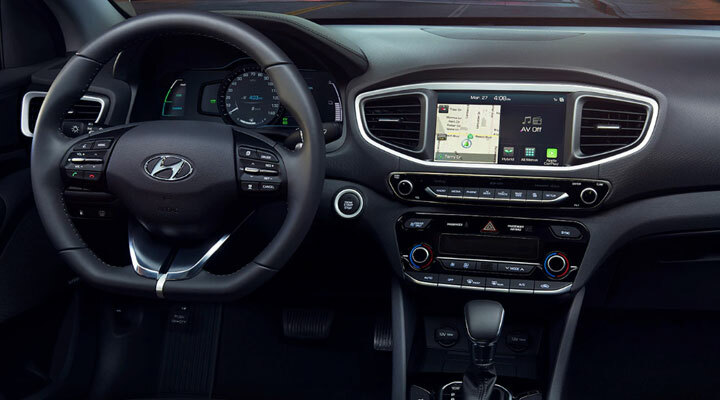 The 2019 Hyundai IONIQ Hybrid’s interior should be the standard for both comfort and convenience in all vehicles. Not only does it come with available heated front seats with available leather seating surfaces, but also a notable 8’’ color audio touchscreen for navigation and music. Find financing for the new 2019 Hyundai IONIQ with our Premier Hyundai of Tracy finance department. Find the right auto loan for you from the comfort of your own home with our online credit application. 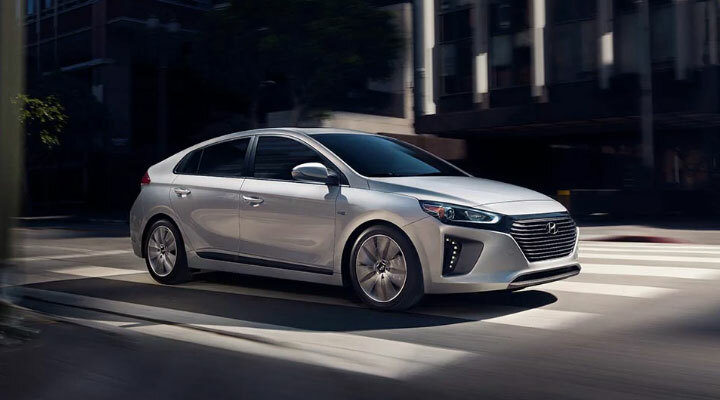 The Aerodynamic design of the new 2019 Hyundai IONIQ Hybrid is one of the reasons this vehicle has an industry-leading EPA estimated 55 combined MPG. The sleek lines with the refurbished grille make for an excellent addition to any driveway. Find what you are looking for in a new IONIQ Hybrid by taking advantage of our massive selection of Hyundai sedans, trucks and crossovers at our Premier Hyundai website. 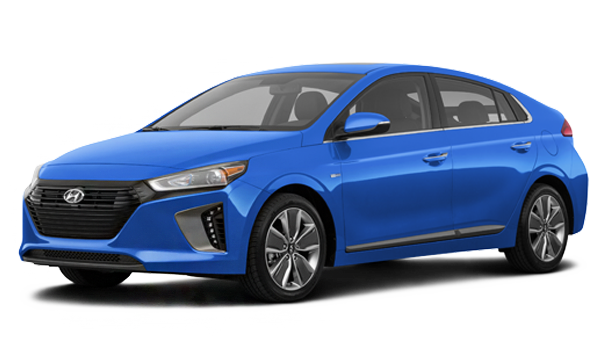 Or, contact us today, and we can set you up with a sales associate to answer any questions you have about the IONIQ Hybrid personally.